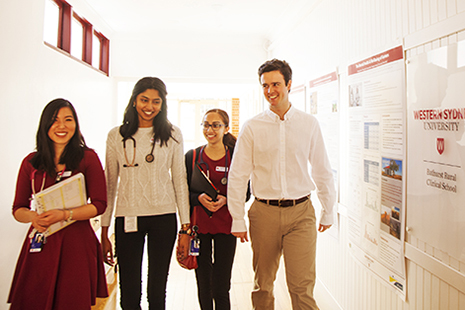 The School of Medicine is one of the newer medical Schools, and provides great opportunities for you to make your mark as a researcher. 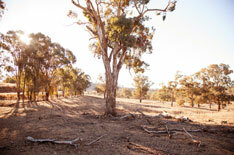 Study the variety of conditions triggered by our environment. 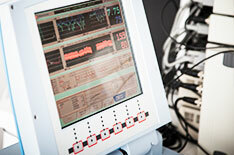 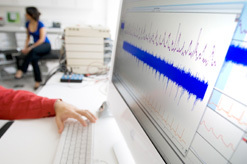 Gain graduate entry training in cardiac sonography (echocardiography). 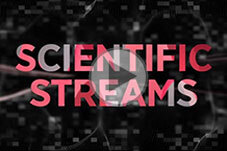 Improve your knowledge of key areas of health-related research. 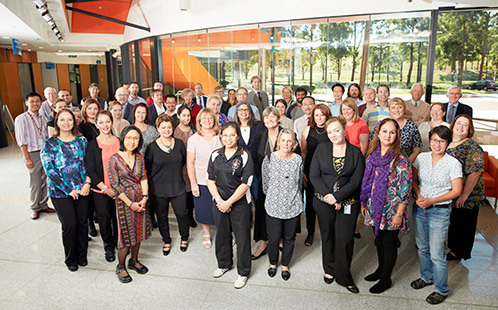 Contact staff within the School of Medicine via email, post or visit us in person at the Campbelltown campus. 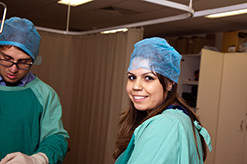 Find out more about the Medical Clerkship opportunities at both Blacktown/Mt Druitt Hospital and Campbelltown Hospitals. 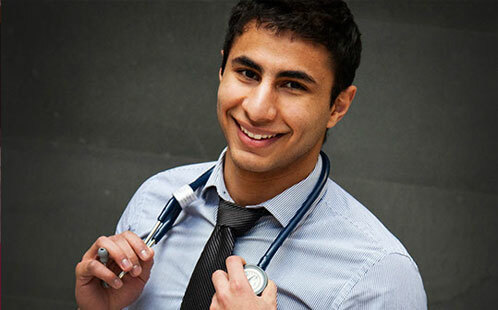 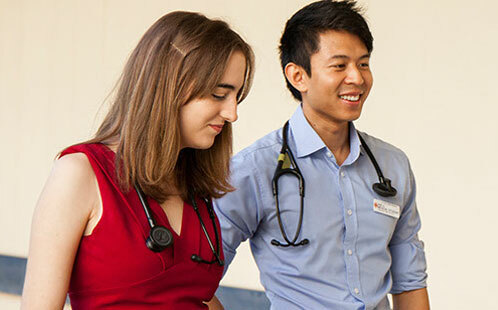 Western Sydney School of Medicine has a strong commitment to improving rural health outcomes, with specific rural entry pathways and rural training opportunities throughout the curriculum. 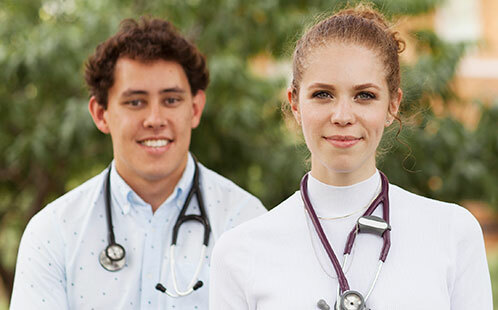 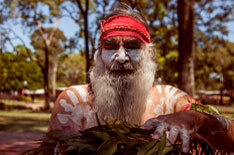 Find out more about the School of Medicine Aboriginal & Torres Strait Islander Alternative Entry Pathway, and the Indigenous Health curriculum. 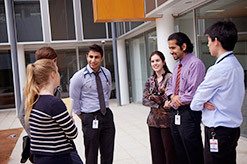 The School of Medicine provides an environment that supports the research activity of academic staff and higher degree research candidates. 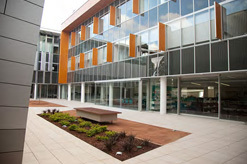 Find out more about the state-of-the-art medical education and research facility , as well as our clinical schools. 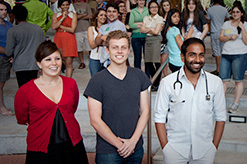 Catch up on all the latest news and events from the School of Medicine. 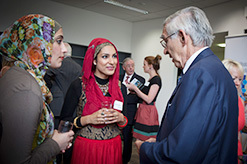 Find out about the support available to current students. 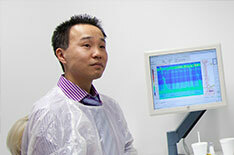 Meet our staff members within the School of Medicine. 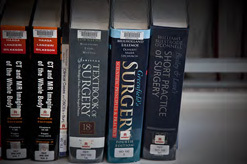 Explore some of the learning tools available to students in the MD.